Hi, admin! 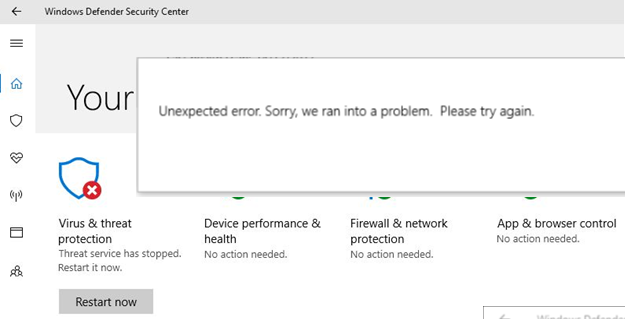 I’m trying to turn on Windows Defender on Windows 10, but at the “Windows Defender Security Center”, the “Virus & threat protection” component has the message: “Threat service has been stopped. Restart it now“. If I try to restart Windows Defender using the appropriate button an unknown error appears: “Unexpected error. Sorry, we ran into a problem. Please try again”. How do I fix Windows Defender? Thank you in advance! Let’s take a look at the typical reasons for which the viruses and threats protection feature (Windows Defender’s built-in antivirus) may not work in Windows 10. Sequentially check all items. Check if you have installed a third-party antivirus on your computer that prevents Windows Defender from working properly or conflicts with it. Try to temporarily disable (or remove) it. Windows Defender Security Center Service (SecurityHealthService). Verify that the startup type for all services is set to Automatic. If a service is stopped, start it manually. 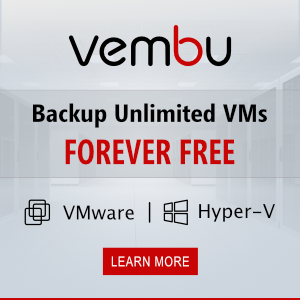 In some cases, it may be that the Windows is disabled by using the registry (the registry setting may be set by a third-party antivirus application). Run Registry Editor (regedit.exe) and go to the registry key HKLM\Software\Policies\Microsoft\Windows Defender. If the DisableAntiVirus and DisableAntiSpyware dword parameters are present in the right pane (at least one), delete them or change the value to 0. Cannot edit DisableAntiSpyware. Error writing the value’s new contents. The fact is that Windows Defender has a kernel-mode driver (wdfilter.sys) that registers a Registry callback filter which protects Defender’s registry keys. Try stopping all Windows Defender related services before changing the registry. Also try to take Ownership of a registry key HKLM\Software\Policies\Microsoft\Windows Defender and grant yourself Full Control permissions. After that, try restarting the Virus and Threat Protection using the “Restart now” button. The service must start correctly. Open the Group Policy Editor (gpedit.msc) and verify that Windows Defender is not disabled by using Group Policy. 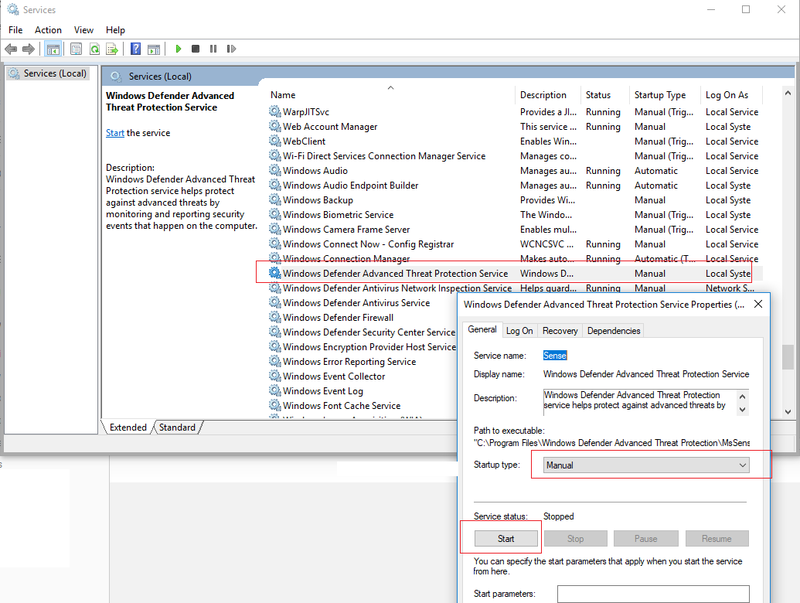 To do this, go to the section Computer Configuration -> Administrator Templates -> Windows Components -> Windows Defender Antivirus Verify that the Turn off Windows Defender Antivirus policy is Not configured or Disabled. Restart Windows Defender and check if the problem is fixed. I hope this brief guide will help you solve the problem if you unable to start (stop) the threat service.